Want to be a model for Beauty and the Beat? Beauty and the Beat is an annual fashion show with live music, vendors, and visual art, featuring local and diverse models and designers. We celebrate the beauty of creativity, collaboration, and community! 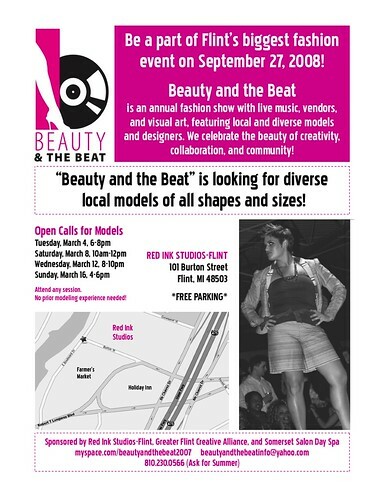 “Beauty and the Beat” is looking for diverse local models of all shapes and sizes. Attend any session. No prior modeling experience needed!